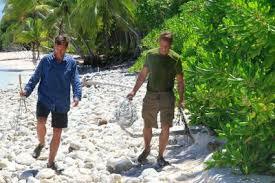 An Amazon Reality show, Dual Survival, shown as well on Discovery Channel, features two sitting U.S. Senators, Jeff Flake (Republican, Arizona) and Martin Heinrich (Democrat, New Mexico), dumped on a deserted island in the Marshall Islands, and required to survive for 7 days. They have to find water, make shelter, find food, and in general work closely together. They do succeed, and together build a raft that takes them beyond the surf and the coral reef to their extraction ship. While on the island, they commiserate about Americans’ low opinion of the Senate, about who is to blame (“Americans blame both parties”, they say), and note that Republicans and Democrats simply do not meet and talk together, but rather, within each party, talk only to each other. They vow to have lunch together once a week. So here we have a solution to the toxic political atmosphere in the US, which allows a leading Republican senator (Senate Majority Leader Mitch McConnell) to say, we will do everything to make Obama a one-term president, rather than we will do everything to improve the wellbeing of ordinary Americans. (He failed – but apparently, aggressive partisanship beats legislative productivity). Send the 52 Republican senators off to desert islands, with the 48 Democrat senators, in pairs. Give them knives and an (empty) water bottle. Work together, or starve and dehydrate. Come back and tell us if you can work together. Hey, it worked for Flack and Heinrich. And as for the catastrophic McConnell Health Bill — Republicans barely talked about it with Republicans, let alone with Democrats. One of the strongest arguments Republicans put forward, for the Bill: If we don’t pass it, we will (horrors!!) have to talk to the Democrats on a compromise. Talk to Democrats????!!!!! Only on a desert island…. 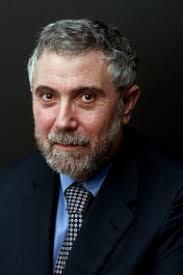 An economist, it is said (and I am one), is one who knows the cost of everything – and the value of nothing. There is much truth to this saying. Costs are pretty easy to measure. You add up the numbers in financial statements or government budgets. But benefits? Fruits? Now that’s another story. Because many social benefits are long-term and indirect. There is a famous study by Nobel Laureate James Heckman of the pre-school program known as Head Start, where funding has been drastically cut. Heckman writes in SCIENCE, 2006: “at current levels of funding, we overinvest in most schooling programs, and underinvest in pre-school programs for disadvantaged children”. The diagram above shows this. 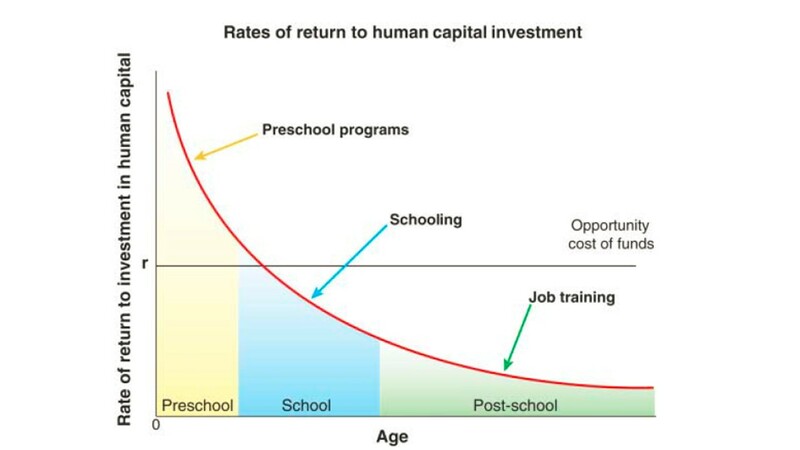 Pre-school investment has a social return above the opportunity cost of the money. Other programs for older children fall short. Why? Because the benefits we reap from pre-school (mainly the Head Start program) are long-term, accruing in adulthood, hard to measure, hard to track – and beyond the myopic vision of political leaders, especially Republicans. The study shows that, under plausible scenarios, the societal cost savings generated from fewer evictions and foreclosures could equal half of the cost of subsidizing coverage for the near-poor. Low-income people who gain health insurance are much more likely to make their rent and mortgage payments, according to a new Washington University study of families living near the poverty line. 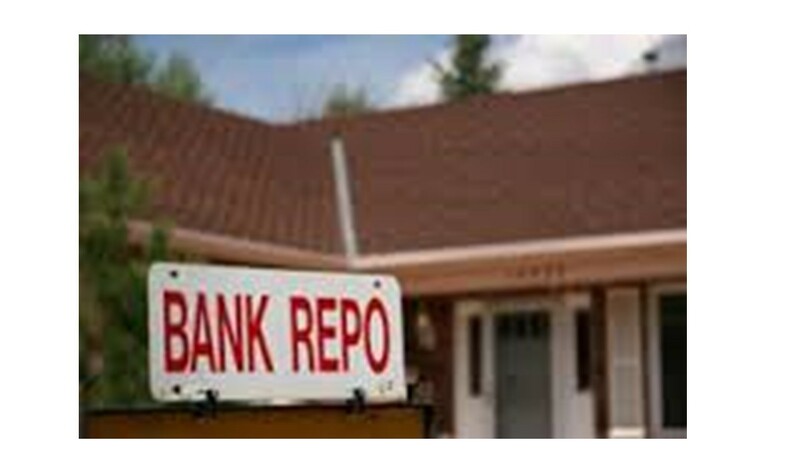 Lower delinquencies mean fewer foreclosures and evictions. Researchers found that near-poor households that enroll in subsidized Marketplace insurance are 41 percentage points less likely to become delinquent on home payments compared to similar uninsured households. As a likely consequence, the rate of home delinquency for households without access to employer insurance fell by 31 percent at the income eligibility threshold to receive Marketplace subsidies during the 2015-2016 period. 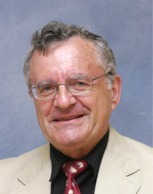 The study, performed at the Center for Social Development at the Brown School of Social Work and the Olin Business School, is one of the first to show the effect of the Affordable Care Act on family finances and the first to show the financial impact of the Marketplace component of the program, in particular. “Our results indicate that lower home payment delinquency may be an important benefit from subsidized Marketplace insurance,” the authors write. Republicans in the Senate are about to kill Obamacare (the Affordable Health Care Act) and deprive 23 million people of health insurance. The main motive is cost saving. The result will be to again increase defaults on home mortgage payments, eviction, decaying neighborhoods and vast human suffering. And all, because of cost-benefit asymmetry, and blindness to long-term indirect social benefits. By the way – many Senate Republicans have not yet seen the actual proposed legislative bill. Senate Majority Leader Mitch McConnell has kept it a state secret. Thus does calumny thrive in the dark, like mold. Hamdi Ulukaya was born on October 26, 1972. He was originally Kurdish, from a dairy-farming and shepherd family in a small village in the Kurdish part of Turkey. In Turkey Kurds are persecuted, in part because Turkey fears the long-standing Kurdish dream of an independent country, Kurdistan. (Kurds have already carved themselves an autonomous region in northern Syria). Hamdi was active in promoting Kurdish rights and had to leave Turkey as a result. He came to the U.S. as a legal immigrant, ironically a political refugee and hence eligible for entry. Today? I doubt he would have been granted entry. 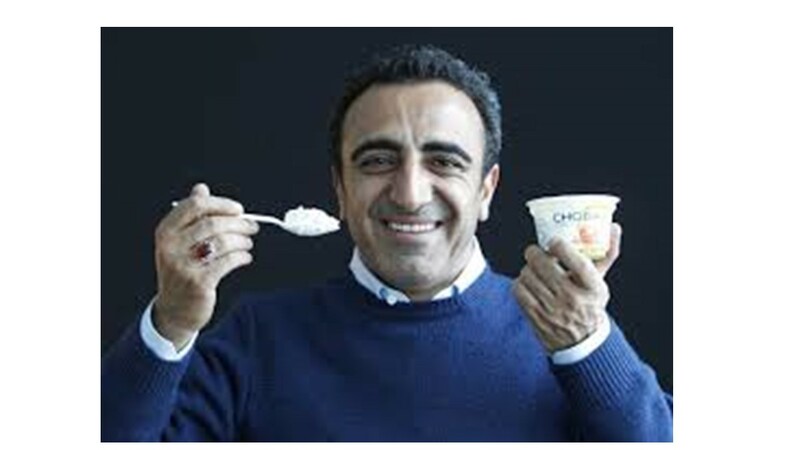 Ulukaya is the owner, founder, Chairman, and CEO of Chobani, the #1-selling strained yogurt (Greek-style) brand in the United States. Here is how he did it. It truly does depict the classic American/immigrant dream. In the U.S. Hamdi took some English courses and business courses. At his father’s suggestion he started a small feta cheese factory. Hamdi Ulukaya heard of a plant in the town of New Berlin, New York, that was being closed by Kraft Foods, in 2006. It was for sale. Kraft had decided to get out of the unprofitable yogurt business. The plant was priced at $700,000. Ulukaya called to verify the bargain-basement price. “One fermentation tank costs that!” he thought. He got a $1 million loan from the Small Business Administration and from a local bank, hired several of the former Kraft employees as well as a “yogurt master” and launched his brand in 2007. It took him a year to perfect the smooth Greek-style yogurt. He made a point of hiring mainly local people. Ulukaya chose the name Chobani as a variation of the Turkish word çoban, itself derived from Persian čupân meaning “shepherd”. Chobani yogurt really is the best. If you haven’t tried it… do so. Chobani has approximately 2,000 employees and is the top-selling brand of Greek yogurt in the United States. The company is worth billions. On December 17, 2012 Chobani opened the world’s largest yogurt-processing plants in Twin Falls, Idaho. The one million square-foot facility cost $450 million and employs 300 people. Hamdi said, “The state expects the total economic impact of our business there to be $1.3 billion.” This was very unusual – Idaho is a highly conservative state, with a extreme right wing Governor. But he loves former immigrant Hamdi, who has brought jobs and prosperity to Idaho. Despite this, some of the locals have made racist remarks. In April, 2016, Chobani announced it was giving 10 percent of its $ 3 billion ownership stake to its employees. Considering there are 2000 employees, this would be on average $150,000 per employee, or $300 million! Some employees became instant millionaires as a result of this action, because share awards were based on tenure at the company. Hamdi does not believe this is philanthropy. It is good business – creating motivated loyal and creative employees. Hamdi has been active in Europe, helping refugees with money and moral support. My question is: Does President Donald J. Trump eat yogurt? Does he eat Greek yogurt? Does he favor CHOBANI Greek yogurt? And when he does eat it, does he think of the Kurdish immigrant who brought jobs, wealth and good yogurt to America? And..can he spell Chobani? C-H-O-B-A-N-I . Long live Kurdistan. Tiger Woods is one of the world’s greatest golfers ever, in a league with Palmer, Niklaus, Snead, and Bobby Jones. He has had personal problems, a messy divorce, back injuries, surgery, and lately hasn’t made the first cut in tournaments. Woods was stopped by police, in his car, near his home in Florida, and failed a breathalyzer test. But he had no alcohol in his blood. He had simply taken tranquilizers and fallen asleep; he took enough of them, so that he could not walk a straight line. Let’s get this straight. No game has more stress than golf. That final putt? Make it and you win a major. Miss it and you finish second or third – not good. Stress? You bet. Yet doctors have doped up Tiger with Xanax (a blockbuster tranquilizer, making billions for Pfizer), Vicoden, Vioxx and who knows what else. Was he taking Xanax while playing? If so – no wonder he missed the cut. 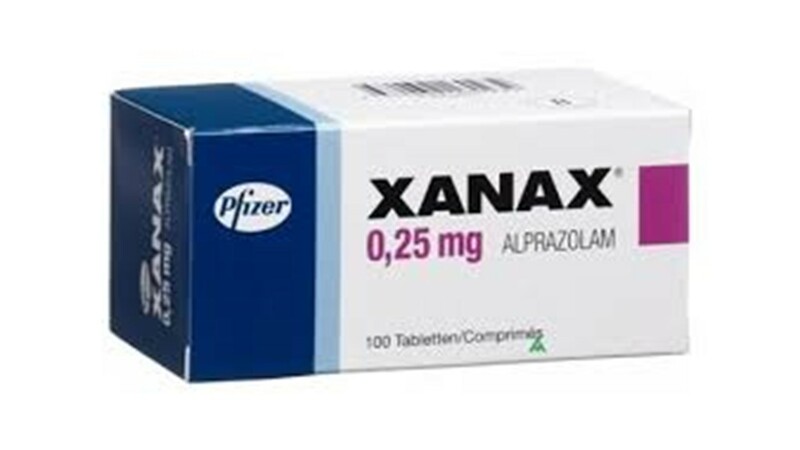 Be clear – Xanax is a wonder drug for those who suffer extreme anxiety attacks. Yet it is according to US Food and Drug the most abused tranquilizer, prescribed for millions who do not need it. Why? Because we’ve been taught by Big Pharma and others, that stress is harmful, terrible, to be avoided at all costs, by popping a pill. So pop away…. and help that bottom line of Pfizer. I argue here that we need more stress, not less. What is stress? Stress is “a state of mental or emotional strain or tension resulting from adverse or very demanding circumstances.” Simply put — We have an unsolved problem, and it bothers us. Let’s redefine stress. “…a challenge, that when we solve it (not if), boosts our self-esteem, self-efficacy and our sense of wellbeing”. Need a pill for that? No. You need to take on the challenge and crack it. Creativity is widening the range of choices. 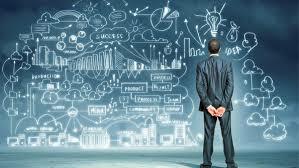 To meet unsolved problems, we can come up a large range of possible solutions. Zoom in, pick one – and go for it. Sometimes you will fail. That’s part of life. Sometimes you’ll succeed. But if you Xanax the stress, you’ll never get even the chance to succeed. When you tackle a stressful state, you change your mental outlook from anxiety to action….it’s that simple. And – keep in practice. Purposely seek out hard things to do every day, and do them, and feel good about it. This is super-important for us seniors. It is so easy to pamper yourself, when you’re over 65, just because you have grey hair. Why? Take on challenges. Your body may not be as strong, but your mind sure is. Do not be manipulated by Big Pharma. Welcome stress. Cultivate it. Tackle those big challenges – and crack them. You can do it. Popping a Xanax smothers the stress, temporarily, but doesn’t deal with it. It’s not a solution. In 2001, Katib sat in the basement of his home, in Regina, at a time when his wife was expecting the birth of their twins. He recounts that he saw that the world’s hungry billions would need a cheap source of protein, and it could not come from meat or poultry. It had to come from vegetable protein, e.g. lentils, chick peas, etc. He wrote the words Saskatchewan and Canada, formed the hybrid SaskCan – and started SaskCan Pulse Trading, a facility to clean and process crops grown in Saskatchewan before sale overseas. Pulses are dried peas, edible beans, lentils and chickpeas, high in protein, low in fat. Katib used contacts in Turkey to sell his pulses. The company grew rapidly – in 2007 it changes its name to Alliance Grain Traders, and then, in 2014, to AGT Food and Ingredients. The goal: always: Feed the world, and create opportunities and jobs for Saskatchewan. The company today is valued at $900 m., and has 41 manufacturing plants on five continents, emplying 2,200 (of whom 650 are based in Saskatchewan). Katib travels the globe, but still resides with his family in Regina. Murad al-Katib studied at U. of Sask. and in Arizona, worked at the Canadian embassy in Washington – and in desperation, wrote a letter to then-Sask. premier Roy Romanow. He wrote how he felt that international emerging markets was where Sask.’s future lies, and the province should focus efforts on trade development. Deputy Prime Minister Frank Hart read the letter, and hired al-Katib, bringing him home. At the time, a socialist NDP govt. had just been elected, in 1991, and Saskatchewan was undergoing hard times (partly due to the 1990-2 recession). 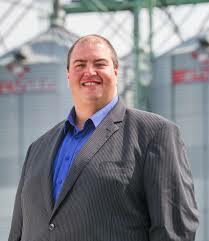 In 2001 Katib quit his government job, and started a pulse processing company based in Regina. And the rest is history. Katib’s twins Tariq and Serra now study at Campbell Collegiate, which has a unique business program Katib helped build. Lentils are not high-tech. But they are highly nutritious, and can feed a hungry world in a healthy manner. It is no accident that Katib’s parents were immigrants. Memo to President Trump: Canada has incredible energy, driven by its immigrants. My parents were immigrants. America too was built by immigrants. History will remember your folly. As of 2015 about 39 million people have epilepsy. Nearly 80% of cases occur in the developing world. In 2015 it resulted in 125,000 deaths up from 112,000 deaths in 1990. Epilepsy is more common in older people. About 5–10% of people will have an unprovoked seizure by the age of 80, and the chance of experiencing a second seizure is between 40 and 50%. What causes epilepsy? A lot of research has been done, to answer this question, without definitive results. Sometimes, to crack a problem, you have to reframe the question. This is what a research team at the Hebrew University of Jerusalem, led by Prof. Hermona Soreq, has done. Her team included researchers from Ben Gurion University and Dalhousie University, in Canada. 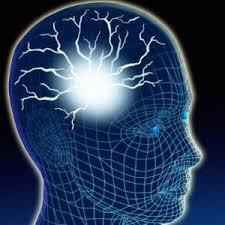 Soreq asked instead, why don’t more people have epilepsy? What actually prevents it? I recalled that the discovery of an anti-Multiple Sclerosis drug, Copaxone, at Israel’s Weizmann Institute, results from similar reframing – how can we induce MS (to study it, in mice), rather how can we cure it? Soreq’s team used rats, genetically engineered to over-produce a protein, micro RNA 211, that they suspected helped protect the brain from epilepsy. These mice were then given a chemical that lowers the concentration of this protein. Lo and behold, the mice developed epileptic tendencies. The results were published in the Proceedings of the National Academy of Sciences. The hope is, discovery of the role of microRNA 211 will lead to new treatments for epilepsy. Almost 70 years ago, Gen. (retired) Herbert Marshall gave the commencement address at Harvard University, on June 5, 1947. No such address then or now has had a greater impact. In his talk Marshall, a retired five-star general, offered war-torn war-destroyed Europe generous financial aid, $11-$13 b. (in today’s dollars, about $130 b., or 1.5% of the US GDP then). It was offered to Russia and Eastern Europe, too. There was only one condition, Marshall said. Europe has to decide how to divide the money among the member countries. If America decides, there will endless bickering. Marshall’s talk was broadcast on the BBC. British foreign secretary Ernest Bevan heard it, and at once called his French counterpart. A meeting was quickly convened in Paris, a committee was launched, and the wheels were set in motion. The aid soon flowed. The rest is history. 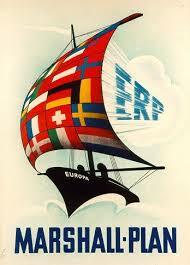 Without those resources, European recovery would have taken far far longer, and the German economic miracle would not have happened. Never in history has a winning nation paid money to the losing nation in war (compare with the Treaty of Versailles, when Britain and France stripped Germany bare, in war reparations for World War I, and directly led to World War II and the rise of the Nazis). There is a key lesson in the Marshall Plan, which stands in stark contrast to modern Trumpism. Marshall Plan indeed put “America First” – but how? By perceiving that only if Europe achieved strong economic recovery, built on market economics but with a strong social component, would Europe remain friends with America. And that was America’s vital interest. Do you help yourself, by screwing your friends, or by helping them? It’s that simple. 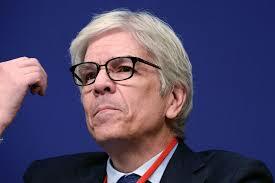 Today, economists call the Marshall Plan “incentive compatible”. That is, it is a plan that built-in encourages those it intends to help, to engage in constructive appropriate behavior. In the case of Europe: Stop squabbling, and start cooperating. This led directly or indirectly to the European Union. We need more plans that are incentive-compatible. Sometimes, what seems like altruism – helping others – is actually exceedingly self-serving. That was the secret of the Marshall Plan. And Marshall? He was a five-star general, a genius at organization, deeply bitter and frustrated because President Roosevelt would not send him over to Europe to fight, but instead kept him home to organize the 8 million US troops sent to fight. I need you here, said FDR. As Secretary of State, Marshall brought great wisdom and skill to the job. The Plan he initiated is his immense legacy, one that changed the world forever. Many of us are bewildered, and somewhat anxious, about the speed of change in technology and the difficulty of predicting where technology is headed. Let me share a small story, that suggests technology changes predictably and much slower than we think. At my university, Technion, at the main bus stop, there is a set of bookshelves. People bring books and magazines they want to discard; they are snapped up quickly. I’ve brought half my library there. Yesterday, I found a very old copy of Scientific American: September 1991, almost 26 years old! It was a special issue on communications, computers and networks. I read it on the bus ride home. Here is what I found in it – 26 years ago. * A description of High definition Television. 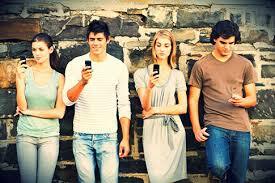 * An assertion that TV is migrating to cable, while telephony is migrating to ‘broadcast’ (i.e. cellular). * difficult dilemmas for public policy, related to rules of the road for data highways. I really did not cherry-pick these topics. I simply listed them. Now, it is indeed true – there is a lot of writing out there that predicts technology that never happens. We still need to be critical, discerning readers. But the point is – if we read widely, constantly and carefully, and critically, there are enough clues to enable us to figure out the direction of future dominant technologies well in advance. So read widely, keep your eyes peeled, think critically – and you’ll have a jump on the masses of perplexed people who, perhaps, are a bit lazier.